Can we really "Lean In" in Australia? Are discrimination laws secretly hurting women? 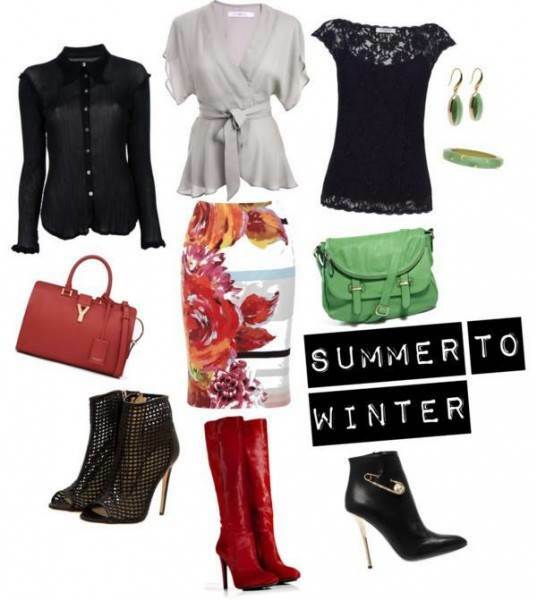 We’ve been super lucky with these gorgeous warm autumn days this year and it’s the perfect weather to start transitioning your summer outfits into winter. By this I mean that many of your summer outfits with the right accessories can swing on right into the cooler months. This is true every year but with our passion for colour at the moment many of your Spring/Summer outfits can double up & look on-trend this winter. The best colours for the this are red, orange, greens, yellows, purples and blue. Pastel shades are somewhat harder to transition, but team them carefully and you might just be on to a winner. White is huge this winter and your summer neutrals such as grey, oatmeal, fawn and metallics will look good too. Your colourful summer tops can go the distance into winter by matching them with the right footwear and a cardigan or fab trench coat. Some patterns work much better in the cooler months than others. Small florals are generally best left for the summer months but anything geometric will work as will spots, stripes and checks, especially if they are larger rather than smaller. 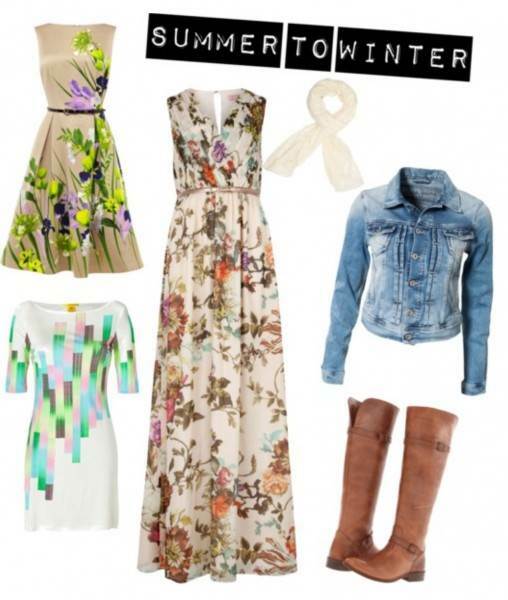 A great way to warm up a patterned dress is to throw on a denim jacket, cream scarf and some knee high boots. Just like pattern it’s really important to take the fabric into consideration. Some with be much easier to transition than others. If it’s thick, heavy or chunky it’ll be perfect, if its light and flowing you might want to store it till the weather warms up again. Of course denim is a perfect year-round option. The best way to transition your garments is with the help of accessories. Try a pair of knitted stocking with some of your summer dresses and pop on some ankle boots. If black is too starck a contrast try a mid-grey pair. I’m a huge fan of boots and love how they easily transition your colourful summer skirts into winter. Keep the colour going with a handbag or jewellery and it works a treat. Last week we brought you an article on sustainable fashion so as the warmer weather leaves us behind have a look at some of your summer favourites as they may be just right to wear throughout winter. Not only will this save you some money but you’ll being doing your little bit to help the environment too.